In today’s world, people experiment with many non-invasive and drug free methods of treatments, in order to get relief from diseases. 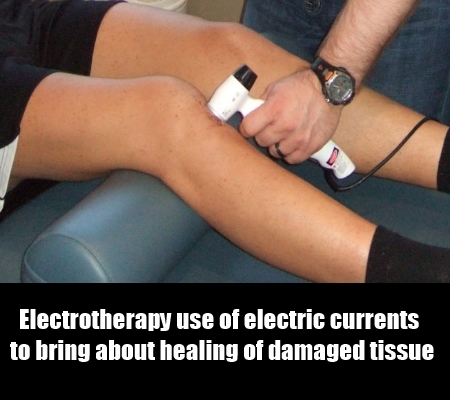 One such method of treatment, which is quite popular, is electrotherapy. This method, which is widely used as a pain relief measure, is helpful in controlling the uncomfortable symptoms which are associated with many chronic diseases. Electrotherapy is a method of treatment wherein one makes use of electric currents to bring about healing of damaged tissues. Here a set of energy waves are employed to bring about certain physical and chemical changes in the body. The electrical signals will help in blocking the nerve signals that are responsible for producing pain. The signals will also stimulate the process of cell regeneration and will release the endorphin hormone, which will in turn help with the healing process. An electrotherapy device usually uses a set of electrodes, so as to deliver current to the affected areas.Some of these devices are battery powered, while some others are operated by connecting to an electrical outlet.The latter is used in treating chronic pain, as it is capable of generating energy waves that reach deep within the body tissues. Today, there are three modes of electrotherapy treatment, which is widely practiced. One form of electrotherapy known as low frequency electrotherapy or Interferential Current Therapy makes use of electrodes which are attached to the skin, so as to deliver weak alternating current pulses to the affected areas.One session of this treatment usually lasts for 10 to 15 minutes.The second form of electrotherapy treatment known as high frequency electrotherapy or Transcutaneous Electrical Nerve Stimulation ( TENS ) makes use of very high frequency electric currents,which increases the body temperature and thus brings about pain relief. A tens electrotherapy device is a quite compact one which can be easily used at homes, and is commonly used to treat conditions like pain in the neck and back regions. In another form of electrotherapy known as electro acupuncture, one makes use of acupuncture needles to transmit current to various regions of the body.The acupuncture needles, which are attached to the body, are in turn connected to other electrodes through which current is transmitted. Even though a session of acupuncture electrotherapy usually lasts for 10 to 20 minutes, the duration of the process will vary depending on the intensity of the condition. 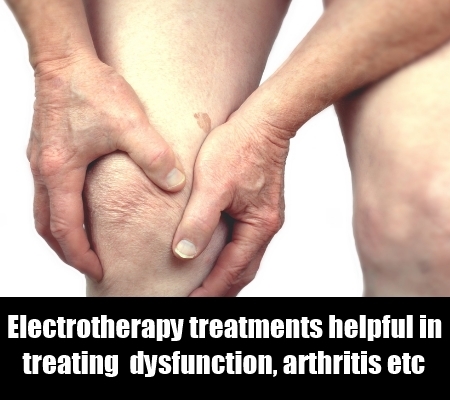 Electrotherapy treatments are found to be very helpful in treating the conditions of neuromuscular dysfunction, arthritis, and even labor pain. The therapy is also helpful in alleviating the pain associated with rehabilitative treatments and in improving the range of motion of the affected areas. As this treatment does not make use of any medicines, one can be assured of not contracting any side effects related to drug intake. 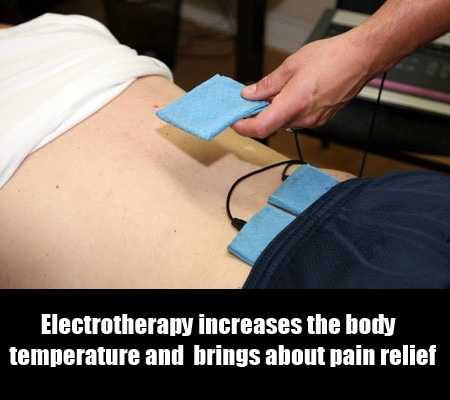 Also, electrotherapy treatments are also a cheaper alternative as compared to drug therapies and surgeries. 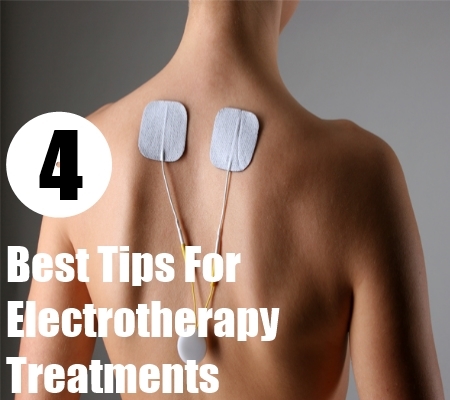 The main disadvantage of electrotherapy is that it can’t be practiced by those who are under narcotic medications. 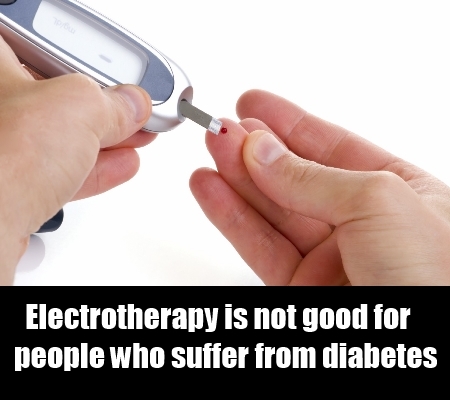 Also, people who suffer from diabetes and those with cardiac pacemakers and metal implants cannot avail electrotherapy treatments. Therefore to be on the safer side, it is recommended that you go in for electrotherapy treatments, only after having a complete review of your existing medical conditions and getting a full approval from your physician.